We are a congregation located in the beautiful Northwoods of Northeastern Wisconsin, about 75 minutes north of Green Bay on Highway 141 and County Road L.
In existence for over 50 years, Crossroads Church (formerly known as Beecher Assembly of God) is a mainstay of the Pembine/Beecher area. We believe in fellowship that is fulfilling, the preaching of the Word that is applicable to our lives, worship that is expressive and life-changing and small groups that promote spiritual and relational growth. Pastor Dave began serving as senior pastor at Crossroads Church on April 19, 2009. Prior to coming to Crossroads Church, Pastor Dave, and his wife Pam, resided in the Burlington/Waterford area of southeast Wisconsin for the previous18 years. Pastor Dave started the Burlington Assembly of God in July 1991, and pastored it for 6-1/2 yrs. Over his 40 years as a licensed/ordained minister with the Assemblies of God, Pastor Dave has served as senior pastor in Dubuque, IA; Grafton, ND; and Burlington, WI. He has served on pastoral staff in churches in Marshalltown, IA; Shakopee, MN; West Bend, WI; and Mukwonago, WI. He also served as high school supervisor at Calvary Life Academy in West Bend. Pastor Dave has a bachelor’s degree in pastoral studies, and a minor in sacred music, from North Central University in Minneapolis, MN. He is also a graduate of Trinity Bible Institute (now known as Trinity Bible College) in Ellendale, ND. In addition to his years in ministry, Pastor Dave has worked as a journalist for 10 years, including seven years as a community editor. While editor of the Waterford Post weekly newspaper, the paper was named Wisconsin Newspaper of the Year for its category, and articles he wrote received first- and second-place awards. In his capacities as a pastor and a journalist, Pastor Dave has served as staff writer, office manager, children’s pastor, evangelism pastor, church planter, worship leader, inaugural editor of the Muskego Chronicle and managing editor. He has coordinated three mission trips to Mexico, directed children’s musicals, overseen numerous church publications, opened two community newspaper offices, and done extensive preaching and teaching. He has also volunteered time in the communities he has lived, serving as children’s entertainment chairman for the Burlington ChocolateFest, as a citizen’s representative on a school board curriculum committee, as a Chamber of Commerce board member, and on a marketing committee for a waterways management district. Pastor Dave and Pam are also involved in the Assemblies of God Marriage Encounter as weekend preseenters. They have presented at ME weekends in Rockford, IL. ; Milwaukee, WI, Wausau, WI and Lafayette, Indiana. The Paulsens have three adult children. Their oldest son, Jeremy, lives in Milwaukee , WI. Their daughter, Angela, is married to Daniel Camacho. They have two sons, Jonathan and Sa muel , and live in San Vicente, Mexico, serving as church planters with YUGO Ministries. The Paulsens youngest son, Jon, and his wife, Marissa, and their two sons, Owen and Parker, are on staff at Racine Assembly of God, Racine, WI. Jon is the assistant/children's pastor, while Marissa is the church's administrative assistant. 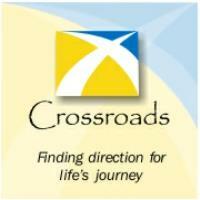 Pam plays keyboard, directs Crossroads' Children's Church and Heart 2 Heart Women's Ministries. 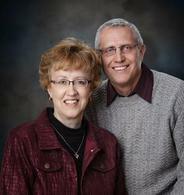 Both Pam and Dave are licensed real estate agents with Bigwoods Realty of Wausaukee.